Earth Day is April 22nd, and quickly approaching. As we kick off the month, now is the perfect time to think about how your camp or school can reduce their environmental impact and join this important movement. While there are many environmentally-friendly practices you may choose to implement this month, there is one change you can make that will not only have a positive impact on the environment, but increase data security and save your money at the same time: Go Paperless! Prevent Deforestation. Trees play a critical role in absorbing CO2 from our atmosphere and producing oxygen to support life on our planet. Decrease Pollution. Paper manufacturing emits harmful pollutants into our atmosphere. Reduce Transport. As paper is transported across the world it uses up fuel, and the burning of fuel releases greenhouse gases. Save Water. It takes 1.5 cups of water to make 1 sheet of paper. Today’s technology makes it easier than ever to reduce your paper consumption. A paperless system provides instant access to important information when your campers or students are off site for field trips or athletic events. This is especially important in the event of an emergency. Shifting away from paper to an electronic documentation is also more secure. With encryption, password protection, and audit trails, sensitive information like camper or student health records can be stored safely in the cloud. 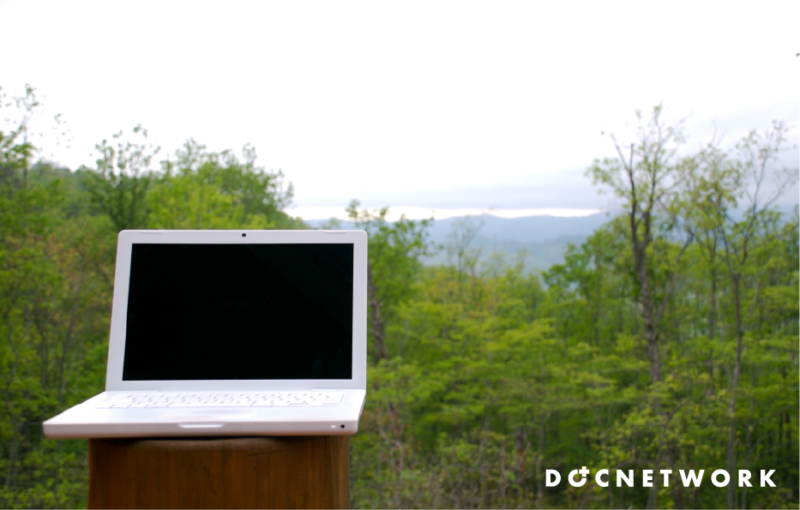 Systems like CampDoc or SchoolDoc can help your organization securely store this type of data. Take a moment this Earth Day to think of ways your camp or school can go paperless, and help create a healthy, more sustainable future. Need some inspiration? Here are a few ideas! We encourage your camp or school to commit to earth-friendly acts, make more sustainable choices, reduce their carbon footprint, and conserve energy and resources this Earth Day!